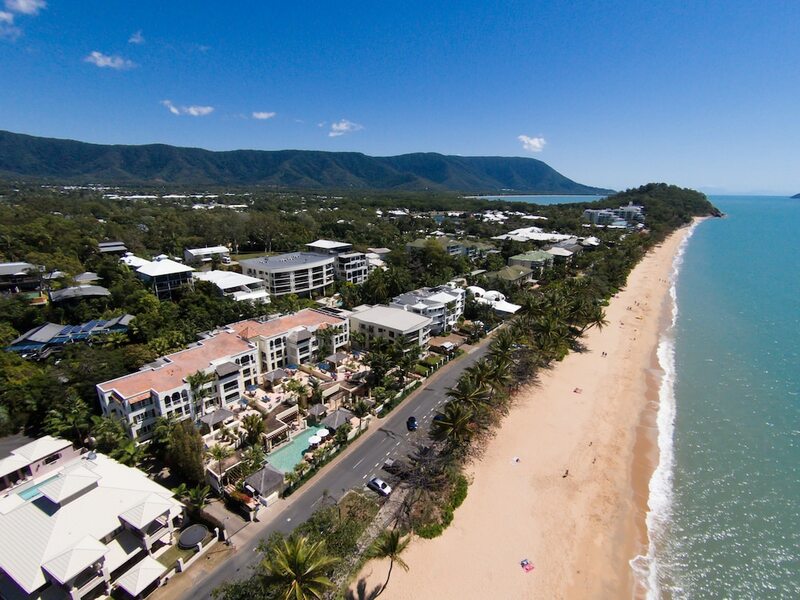 A luxury stay in Trinity Beach awaits you at Sea Change Beachfront Apartments. You'll be 6.8 km (4.2 mi) from Skyrail Rainforest Cableway and 6.8 km (4.2 mi) from Tjapukai Cultural Park. 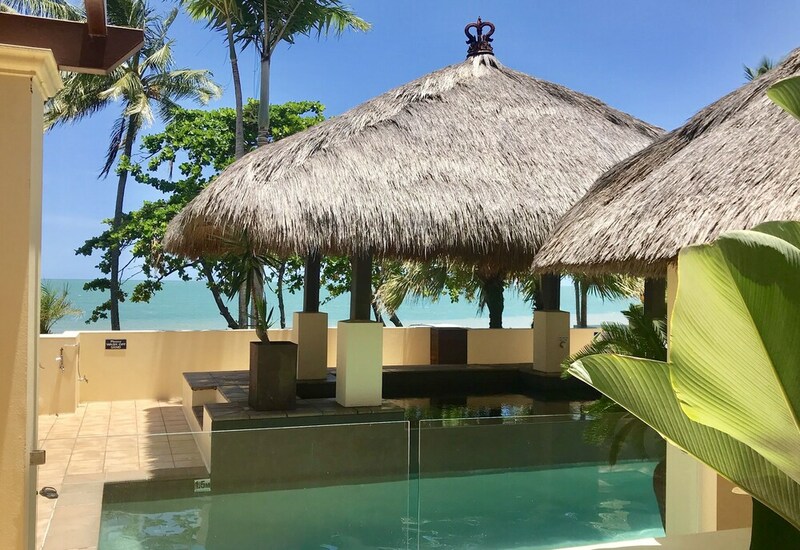 Highlights at this beachfront property include an outdoor swimming pool, and in-room kitchens and private spa tubs. You can enjoy an LCD TV with cable channels, and each apartment features a washer/dryer, free WiFi, and free wired Internet. In-room dining is easy with a kitchen that comes equipped with a fridge, a microwave, and a hob. Nice touches to enhance your stay include a jetted tub and designer toiletries, while premium bedding and a down comforter invite a good night's rest. A furnished balcony or patio, an iPod dock, and a living room are also available. Weekly housekeeping is available. Spend the day at the beach and enjoy the onsite spa tub and pool loungers. Additionally, you'll find free WiFi in public areas and laundry facilities. There's also free self parking, along with the convenience of an airport shuttle. Places within a 30-minute drive of this 5-star Trinity Beach property include Smithfield Shopping Centre and Hartley's Crocodile Adventures. Thanks for the awesome feedback, we really appreciate it. We are so pleased that you enjoyed your stay with us and we hope to see you again. Apartment upgrade, pool great, folk all helpful, great location. Thanks for taking the time to share your feedback. We thank you for staying with us and hope to see you again. No dislike and staff were absolutely BRILLIANT. I would recommend this place to anyone and everyone. Wow, thanks for the awesome feedback, we really appreciate it. We are so pleased you enjoyed your stay with us. We hope to see you again. Great location. Fantastic views. Beautiful swimming pool. Thank you do much for the feedback, we really appreciate it. We are so pleased you are enjoying your stay with us. Wow, thank you for the great review. We really appreciate it. We are also very pleased you enjoyed your holiday with us. We hope to see you again at Sea Change. Great hosts and a lovely property. Well kept and clean.. Thank you so much for your great review, we really appreciate it. We hope to see you again at Sea Change! Thank you for your review, we hope to see you again at Sea Change! Thank you so much for your review. We hope to see you again at Sea Change! We enjoyed our stay very much and would definitely stay here again. All very clean and comfortable. Quiet and peaceful with lovely pool and gardens. Very close to the beach and shops. Also very convenient for tour companies to collect us. Thanks to the owners and staff for a great experience. Thanks for the great 5 star review and we look forward to welcoming you back soon. Sea Change Beachfront Apartments offers its guests an outdoor pool and a spa tub. Public spaces have free WiFi and wired Internet. A round-trip airport shuttle (available 24 hours) is available for a fee. A rooftop terrace, a library, and tour or ticket assistance are also featured at the luxury Sea Change Beachfront Apartments. Self parking is free. This 5-star Trinity Beach apartment is smoke free. Reception hours are 8 AM to 5.30 PM Mon - Fri, 8 AM to 3 PM on Sat, 8 AM to 1 PM on Sun. Please inform the hotel of your estimated check-in time, at least 48 hours prior to arrival. The contact number is on your booking confirmation. For after-hours check-in, guests will need an access code for the key safe at reception. Guests arriving after 5:30 PM must make advance arrangements by contacting the property using the information on the booking confirmation. Sea Change Beachfront Apartments offers transfers from the airport (fees may apply). Please contact the property at the number on the booking confirmation 48 hours prior to arrival with your arrival details.